Entrepreneurs have many things to consider. What are the options if you want a loan with which to expand your business? What happens if the equipment used by your small business needs replacing? What can you do if sales suddenly start decreasing? Depending on what kind of business you have, you might not be able to turn to a bank for money. For those for whom a traditional bank is not a viable source of capital, a merchant cash advance can be the answer. A major advantages of merchant cash advance are speed and convenience. You can give your business a boost of cash at short notice, and it does not require an exceptional credit score or collateral. The repayment schedule depends on your business’s cash flow. Prioritize the things you absolutely need for your business. 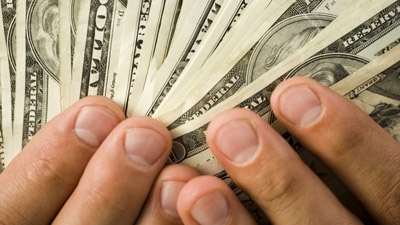 Receiving a cash advance means promising a portion of your later profits in return. This type of funding is most appropriate in times of cash flow emergencies and for those who are struggling with poor credit history. Although merchant cash advances allow you to pay back the money according to your future cash flow, you should be reasonably certain that your future sales will be sufficient to pay the money back. Although it is generally easier to get money from a merchant cash advance company than from a bank, there are a few basic requirements before you can receive an advance. Typically, your company must have already been operating for at least a year, and your credit card sales per month should be $10,000 or more. Also, your company should not have declared bankruptcy in the past year.